Saturday 2 May dawned a little windy at Strathalbyn as a weak front passed through at around 5am. Laying awake in the dark I suspected there may have been cloud and rain about the Mt Lofty ranges. Dragging myself out of bed I checked the current NAIPS area forecast – didnt look too good with 40kt winds at 5000′. Venturing outside later for the saturday paper the sky was clear and dry to the eastern horizon, and a bit of cloud banking up to the west. After a quick breakfast, printing off the latest weather reports, updating Ozrunways and filling in the paper flightplan, I loaded up the ute and hightailed it to Callington. The amended forecast showed winds decreasing to 25kts at 5000′. 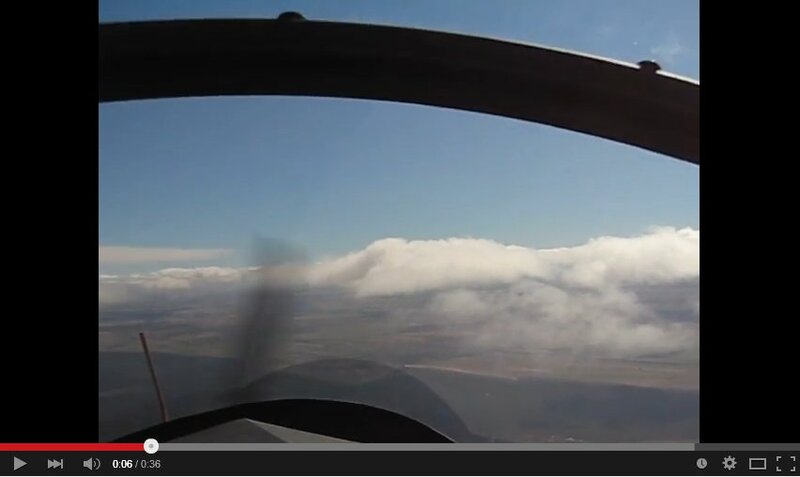 With favorable wind from the north west, I was airborne and travelling East at 3500′, GS 110kts. 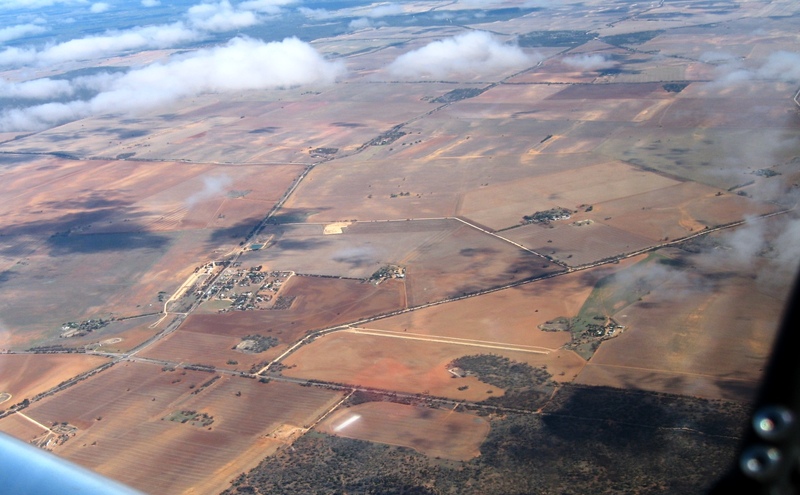 I kept the Mallee highway on the left and the Mallee scrub through that area on the right, pretty much until I was well over the Vic border. 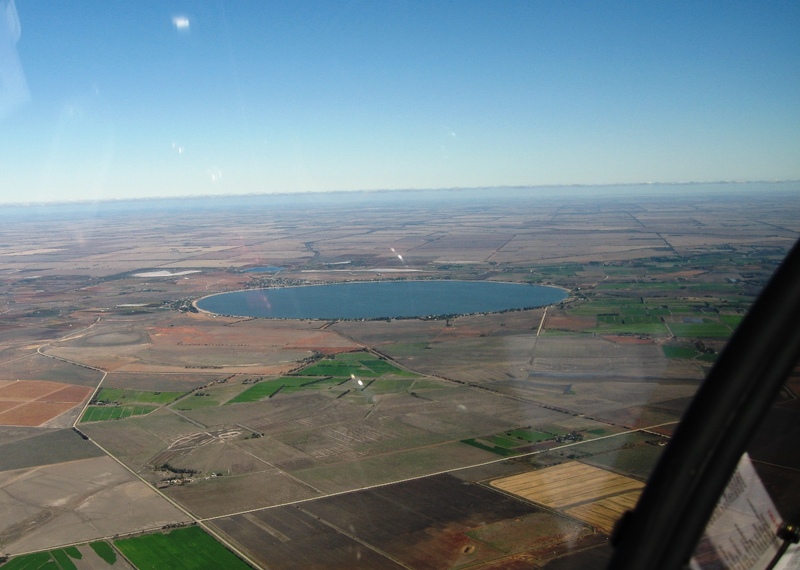 Approaching Lake Tyrrell, aiming to skirt around the southern edge. Swan Hill ahead. iPhone took the better shot. It was about 50% water coverage, the surface was like glass. Swan Hill came into view after a couple of hours and it was a welcome comfort stop to defuel and refuel. 32 litres to top back up to 60. Setting off again I set course for Yarrawonga and prudently avoided some of the tall timber and scrub country that follows the Murray. 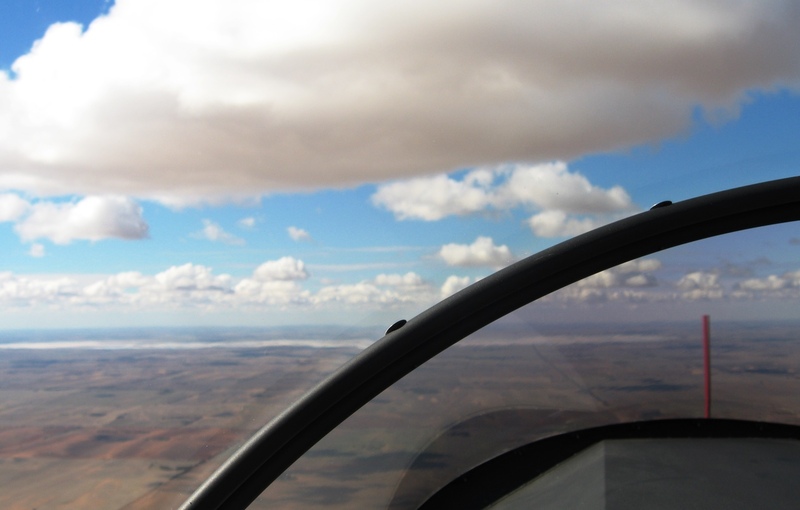 The tailwind had abated by the time I crossed into NSW, GS back to 95-100kts. About 40 miles out I thought I would check if I could hear Yarrawonga CTAF traffic to gauge how busy it was. Who should I hear but Doug Mclean calling inbound and Brian Ham in the circuit area. Great stuff at least there were two other Sonex aircraft there! Said g’day to Doug on his way in. 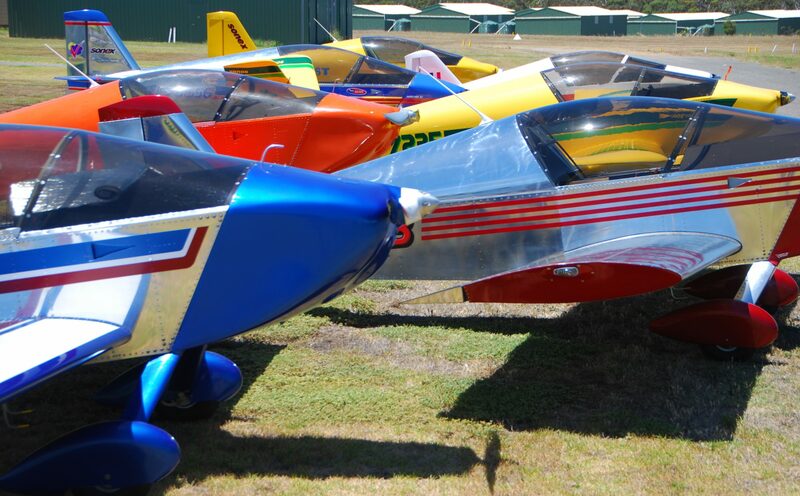 On arrival I noted Keith Jeffs Waiex and Brians Sonex parked out front of the hangars. Unfortunately Brian had to depart later in the afternoon but it was good to see his aircraft for the first time. After a bit of catching up, checking each others aircraft and nattering about the flights we bedded down the aircraft for the night. Peter transported us to Bourkes pub, our digs for the night. We later met in the bar prior to joining the Megafauna Fliers for dinner. Dinner was pretty good, not sure about Keiths cholesterol levels after seeing the mixed grill on his plate. After dinner we were regaled with tales of Megafauna derring-do by Peter McLean and even saw video evidence from the 2008 trip. The video was quite entertaining complete with interviews of the main characters, along with some great footage and still shots. I think there are still some traumatised kangaroos hopping about the bush somewhere in the south west of NSW. Kind if felt like we should have been tagging along for the trip over the next week. Apparently the 2016 event will be centered on Yarrawonga, with activities and day trips planned out of there. Peter is encouraging us to attend the next one, and will be releasing details closer to the start. Next morning after a sumptuous breakfast, well ok, weetbix and toast , it was back to the airfield to prepare for the flight home. I noticed no-one was at the fuel depot hangar as we drove past. oh oh..
Quite a bit of dew had gathered overnight and I spent a bit of time spent wiping down the canopy. LH cowl off all looked good, oil checked. Buttoned up again, rest of preflight done, "stuff" stowed. Eventually I twigged and pulled it out into the sun to dry off, then I could polish the canopy proper. After the round of goodbyes, where did you go Keith? I thought I better taxi around to the fuel bowser and give them a call. As luck would have it the tanker operator was coming through the gates as I dialled the number, phew. No waiting. Note to self next time fill up as soon as you land! 29 Litres to fill this time. Fueled up and ready to go as Doug departed overhead, I taxied down to await a slot in the stream taxing to the end of runway 01. Not sure why all the trikes weren’t just using the grass to get down there en-mass. I didnt want to get my tailwheel dirty so stayed on the bitumen. 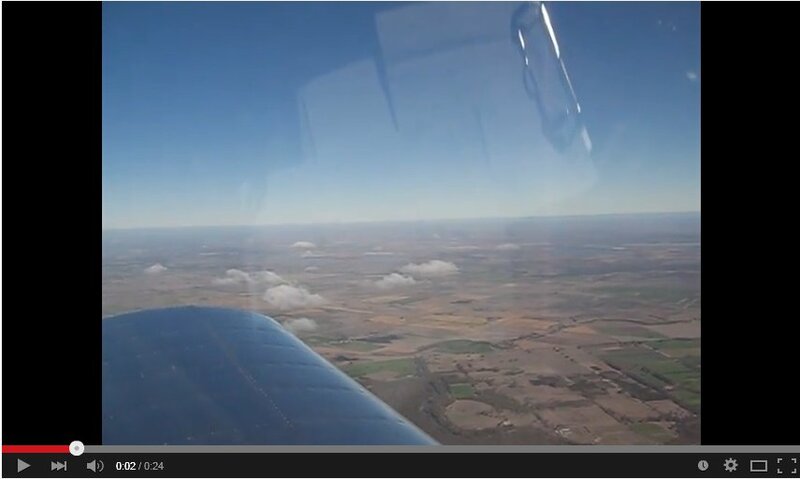 Departing overhead at 1155Z, I set course for Swan Hill at 2500′ into a slight headwind. A beautiful morning, clear skies and smooth air. A fair bit of sun coming off the right hand wing so I quickly applied a bit of sunscreen to the mush. 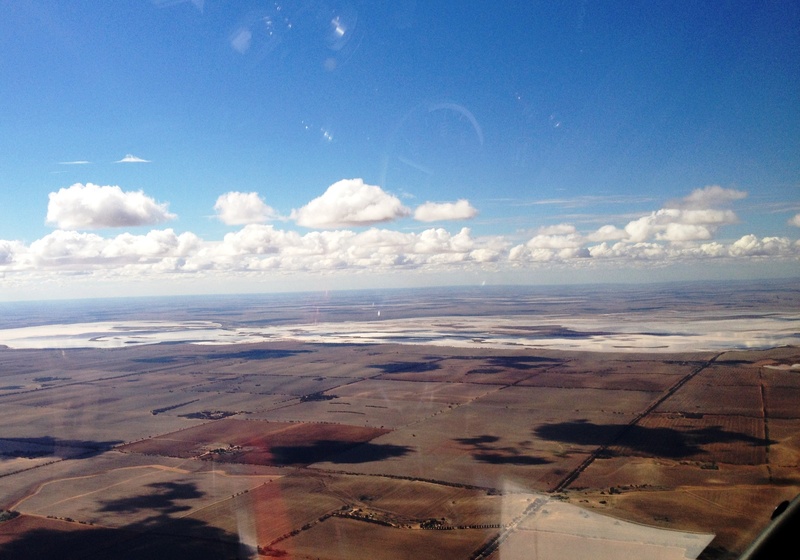 So far so good, I climbed to 4500′ after Cobram for a better view ahead. 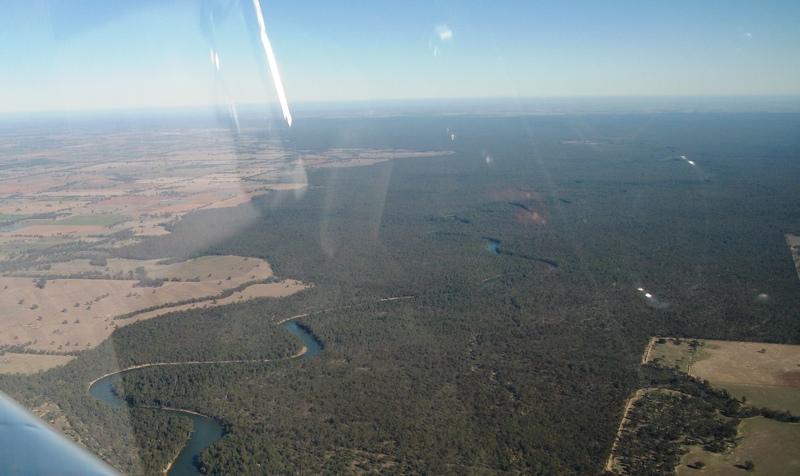 I was surprised by a J230 at 4500′ coming across the bow just out of Deniliquin, from right to left. It could be argued that he was following the hemispherical rule but it sure looked like he was heading more south east. I nosed down a little to clear his wake turbulence as I crossed his track behind him. I had been frequently scanning ahead left, right, up and down as a number of Megafauna aircraft were headed out of Yarrawonga for Swan Hill. So it wasn’t entirely unexpected to see someone else. Its pretty easy to be head down looking at screens, maps and stuff too long. I even did some extra weaving to make the wings glint in the sun in case some Piper/Cessna driver coming from behind trucked on through me. Later I spotted another Jabiru heading south west at about 2500′ tracking across the wide expanse of river timber country I had avoided the day before. Brave soul. Into Swan Hill for fuel I added another 29 litres of BP’s finest. A nice breeze was blowing from the west.. of course, but at least it wasnt a gale. Lift off and departing west I climbed to 4500′ and noted cloud across the horizon from Lake Tyrrel. Appeared to be scattered with cloudbase around 3000 tops 4000′ so I climbed to 6500′. It was about that time I realised my phone wasn’t in my top left pocket. A slight panicky feeling as I searched around the seat and bags looking for it. I last remembered it sitting on my lap as I taxied out at Swan Hill, eventually I located it down on the floor by the LH pilot seat belt attachment. phew..
Patchewollock and private airstrip, nice long runway. West of Patchewollock, clouds starting to gather. Decided to duck under in case they closed up ahead. Nice and smooth at altitude, I think GS was around 95kts so still some headwind. All good but after Patchewollock it looked like the holes were starting to gather up a bit. 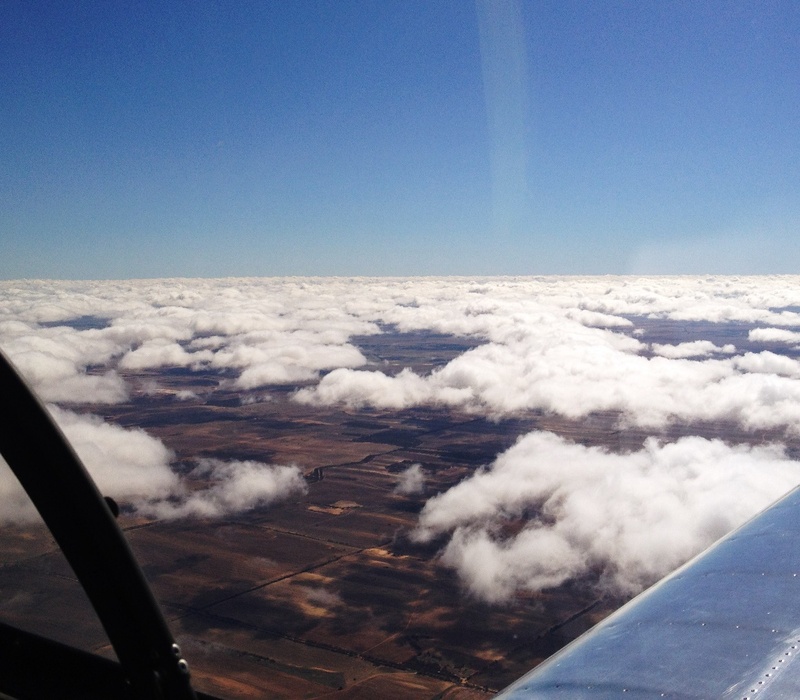 Reluctantly I descended below cloud base where it was bumpy almost all the way back to Tailem Bend. I considered landing at Pinnaroo for a break, well actually a pee stop as the coca-cola I consumed at Swan Hill was making its presence keenly felt, but soldiered on. Arrived overhead Callington at about 0440 Z. Total time on the Hobbs was 4.6 hours at shutdown, thus ended my first real crosscountry in Sonex #813. I think I want a cruise prop now since I can’t have a 3300, oh and maybe a better seat cushion for these longer trips! !